Julie doesn’t make vacation plans, she creates memories!! I just told two of my friends from Orlando about Julie and they love her too!. 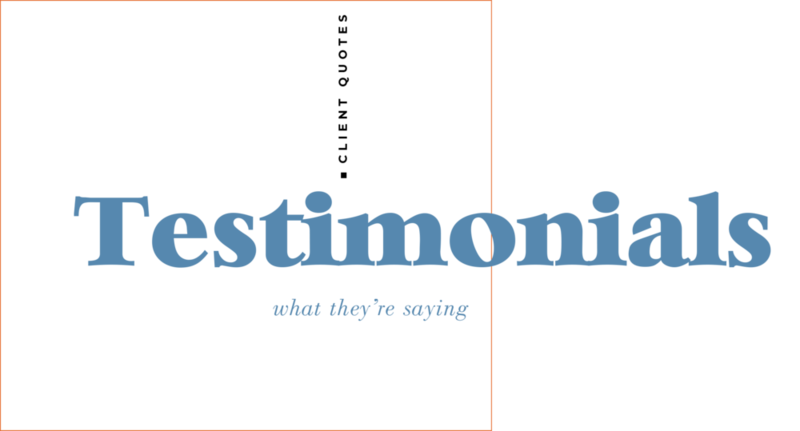 “Julie Juba is an amazing travel agent and I HIGHLY recommend her. She planned the perfect trip for us for our 5 year wedding anniversary to Grace Bay Club in Turks and Caicos. No detail was spared from planning our daily dinning to setting up a romantic private beach dinner on our anniversary night. What makes Julie unique is that she truly gets to know her clients which enables her to customize the perfect vacation. We had an amazing vacation and are looking forward to our next trip that Julie is planning! After working with Julie there is no one else I would ever use!. “Julie was so helpful in helping me plan our 25th wedding anniversary trip to Las Vegas and San Diego! I had done some leg work of my own. I kind of knew what I was looking for, but needed help.I posed a question about travel agents on the Wyckoff Moms Facebook page and everyone recommended Julie. She was an absolute pleasure to deal with. Even though we had never met, she understood exactly what I was looking for and was able to add so many “perks” to my accommodations. It made a great vacation into an unforgettable and spectacular one! “Julie has been such an incredible help in all of our travel needs. Even if she was making a hotel reservation for a quick weekend trip she made it feel like a vacation in which relaxation was a priority. She went beyond in investigating what was available for my children not only at the hotel but in the surrounding areas. On our recent trip to Italy, Julie’s experience and knowledge was beyond what I had dreamed. We had requested a fairly intense trip from Southern to Northern Italy that was child centric. To say that this was the most concise trip would be an understatement! To the minute on each stop we had someone waiting to greet us and take us around. Whether it was a car, boat or taxi not a second was lost! On the last day at 11 at night (right before our flight!) my daughter broke her elbow while hugging a new friend. Julie was the first person I called to help! Again it was amazing what she did to help us- and to top it off there was a get- well basket waiting for my daughter when we returned to New Jersey! “First of all, I wanted to say thank you for your recommendation and efforts in planning the perfect getaway for us. We had the most amazing time at the St. Regis in Bahia Beach Puerto Rico. Everything on our trip was picture perfect. You had it all locked in! It was a great adventure for us! For anyone considering the services of a travel agent, I want to wholeheartedly recommend Julie Juba. As a former member of the travel industry myself, I am well aware of how extraordinary a travel agent she is. She is part mind reader, planner, organizer, and trusted advisor; all the characteristics you would want of your travel agent. “Julie has helped us plan many family vacations, from Disney to Anguilla. This year we did our dream trip to the Amalfi Coast! It was truly amazing!! Julie planned each day and made each day super special. Everyday we kept saying, “This is our favorite day!” We did a private boat tour that will be a forever memory! “You have been a lifesaver for me and my family, and I just wanted to take a moment to express my long overdue gratitude. When we were getting ready to take an annual family trip last year, our flights were suddenly changed by the airline, leaving us with only 20 minutes to catch a connecting flight in Florida. We decided to spend the night in Fort Lauderdale to avoid the risk of missing the only daily flight into Treasure Cay, Bahamas. Being unfamiliar with that area, we reached out to you to help us find a nice, clean, safe hotel to spend the night with our two young children. Well, you went above and beyond! Not only did you book us a gorgeous room overlooking the beach in the luxurious Atlantic Hotel, you arranged a car service (with car seats!!) to transport us from the airport and back again the next day. We also thoroughly enjoyed the fruit and cookies left in the room with a handwritten note from the hotel manager. And to make the deal even sweeter, you secured us a rate that was half of what we would have paid had we booked on our own. So, thank you!! Not only are you an expert on travel, you are also an amazing resource for day-to-day needs, and you always go the extra mile to help someone in need. When my car was in a fender-bender a few months ago, I wasn’t sure where to turn to have it repaired, since the accident. You recommended your uncle’s auto body shop, and they could not have been more fantastic! Your own mother, in spite of the fact that she was terribly ill that day and on her way to the doctor, took my call and began making arrangements for me to get the repair estimate. Then your uncle’s partner, Jim, took over (since my own insurance agent proved to be pretty useless) and handled EVERYTHING! He wrote up the estimate, contacted the other driver’s insurance company and dealt with their adjuster, followed up with me to schedule the repair, and even arranged for my car rental. I did not spend a dime out-of-pocket, did not have the added stress of dealing with an insurance company, and my car looked brand new after the repair! “Julie and Jet Set Getaways designed the most wonderful honeymoon for us in Bermuda. The planning process was seamless and a breeze. Julie is super knowledgable about the hotels she works with and was able to make recommendations regarding activities and restaurants. We didn’t have to worry about a thing, and we didn’t! We really had the honeymoon of a lifetime and it just wouldn’t be possible without Julie’s expertise and arrangements. “My family and I vacationed at the Somerset in Turks and Caicos this past March. This is a privately owned townhouse located in Grace Bay and I can honestly say this was my absolute favorite vacation ever thanks to Julie. She thought of absolutely everything before we even left. Upon her suggestion, I pre-purchased groceries and she made our dinner reservations at a different restaurant each night, along with exciting excursions during the day, all before we left. Some of the excursions we enjoyed were jet skiing, horseback riding on the beach, deep sea fishing, a spa day, just to name a few! When it came time to say “I do”, I knew I could handle planning a wedding and a large rehearsal dinner, but the idea of tackling a 10-day honeymoon would put my stress over the edge. Julie was referred to me by a friend, and she and Katy really created a dream vacation! My husband and I knew we wanted to go to Bali to experience the gorgeous scenery and lovely culture, but outside of TripAdvisors and YouTube, we were pretty lost. With Julie and Katy’s guidance and advice, I selected flights, hotels, and day trips, it was a breeze. As the trip approached I received access to their App, which not only refreshed my memory of all we had put together, it also provided a means to communicate with both Katy and Julie while we were overseas! Maybe the efficiency of their App should have been an inkling, but we experienced 10 days of A+ VIP status all the way! The hotels greeted us with champagne, learned our names in less than a day and decorated our villa with framed photos of our wedding. Oh, and those day trips I thought we “threw together” came with a personal driver and tour guide! “We never thought planning our honeymoon would be so much easier than planning the wedding especially when we couldn’t see the venues and places ourselves! We relied on websites, forums, brochures, and comments provided by Julie and her team. Throughout the process we felt we were in good hands, because Julie and her team were knowledgeable, patient, and understanding. They arranged flights, transportation, lodging, and an action packed itinerary catered to our needs. We kicked off our honeymoon with a few days in Cape Town, South Africa where we got a glimpse into what Julie’s team had in store for us. From the moment we landed we were treated like royalty. Landing in Cape Town, we were immediately greeted by a knowledgeable driver who whisked us away to the beautiful Taj Hotel. We were upgraded to a suite where Julie had arranged a wonderful welcome package for us that included champagne, dessert, rose petals, and a framed photo from our wedding! From that moment on, we knew this trip was going to be special. We began our African adventure the next morning greeted by Tony, our driver and personal tour guide for the duration of our Cape Town stay. He would start us off with a cable car ride up Tabletop Mountain, followed by a quick coastal drive to Boulder Beach, and ending at a private lunch at the Flagship restaurant. Tabletop Mountain would end up being the first of many breathtaking views we got to experience. If you like penguins, Boulder Beach is the place to be. Lunch at the Flagship is a uniquely special dining experience. Chef Duncan serves a multi-course meal to a limited amount of people right in his home. The delicious meal paired with a different wine for each course was delightful, as was the interaction from Chef Duncan and the other guests. Our quick visit to Cape Town didn’t stop there. The next day we were scheduled for a few wine tastings in the winelands. Julie had gotten our wine preferences earlier and put together a list of a few vineyards she thought we might enjoy. No need to bore you with the details but we were well taken care of and everything was definitely a hit. We were treated to some excellent wines paired with different foods and chocolate that really accentuated their flavors. We capped off the day with lunch at the Delaire Graff Estate. Suffice to say, the estate was a beautiful property with commanding views of the Stellenbosch Mountains. Tony made sure we had the best seats in the house so we could really enjoy the the superb lunch accompanied with delectable food and great service. Can an African adventure really be called an adventure without seeing some big game? We think not. After our whirlwind tour of Cape Town we spent the next few days in Kruger National Park for a safari. Upon our arrival, we were greeted by personal driver, tour guide, and photographer extraordinaire, Barry Peiser. We would spend a whole lot of time with Barry over the next few days but we started it off with a ride to the Singita Sweni Lodge. Already excited to see some animals in the wild, we managed to spot three out of the Big Five just driving to the lodge! The lodge itself was a truly remarkable and magical place that we could not believe existed in the wild. From the attentive staff, the gourmet food, and the beautifully appointed private cabins, everything was like a dream. Now for the real reason we came to Singita, the safari! Everyday we were treated to two private game drives with Barry and Sunday, our super powered animal whisperer and tracker. These guys were the BEST. With Sunday’s super powered vision and ability to track animals through footprints and random tracks, we were able to see all of the Big Five. Barry was knowledgeable and knew exactly where to take us for the best views on the reserve. We were even blessed with seeing an elusive white lion cub as he walked with his pride a few feet from our truck! A priceless moment, indeed. Capping off every afternoon game drive while watching the African sunset is something very special. The radiance of the sky coupled with the best company you could ask for… no words or photos can accurately describe what it’s like to really be in that moment. We were on such a high that we did not want to leave, but Azura Benguerra Island in Mozambique was awaiting for our arrival. We stayed for a few days in Mozambique in complete beach bliss – another gem in the middle of nowhere. We were upgraded from a suite to a house! The many benefits of being Julie’s client :) We had a private pool that was within steps from the secluded beach and our own host that took care of our every need. The weather, ambience, and service at Azura was the perfect and only way to end our honeymoon. “I wanted to let you know how happy we are with your service and how appreciative we are for all the work you did to make our Hawaiian honeymoon perfect. With all the stress of planning a wedding (and finding out we were expecting a baby during the process) we had little time to research honeymoon activates, never mind actually booking anything! From the first time that you met with my husband to discuss the trip, we both felt that you all did your very best to get to know us so that you could take the reigns and really plan the trip for us. We love that your team took control and didn’t bother us with minor details. More importantly, you gave us your honest opinion and encouraged us to change our mind when you thought that you had ideas that would give us a better experience (thank god we listened)! Every single aspect of our honeymoon was taken care of, from car services and dinner reservations, to snorkel trips and helicopter tours. Your services allowed us to enjoy the experience and each other without having to sweat the small stuff. Each activity was perfect for us and the hotels were AMAZING. Your team was professional, quick to respond, understood our needs and adhered to our budget. You guys also made us feel special by letting both hotels know that we were on our honeymoon/babymoon and having little gifts and snacks sent to our room over the course of the trip! So sweet!